The 1950’s “Pinups” were about the all-American girl that the boys fighting the war dreamed of coming home to, finding and marrying. Pinups represented both what women wanted to look like and what men wanted to see. 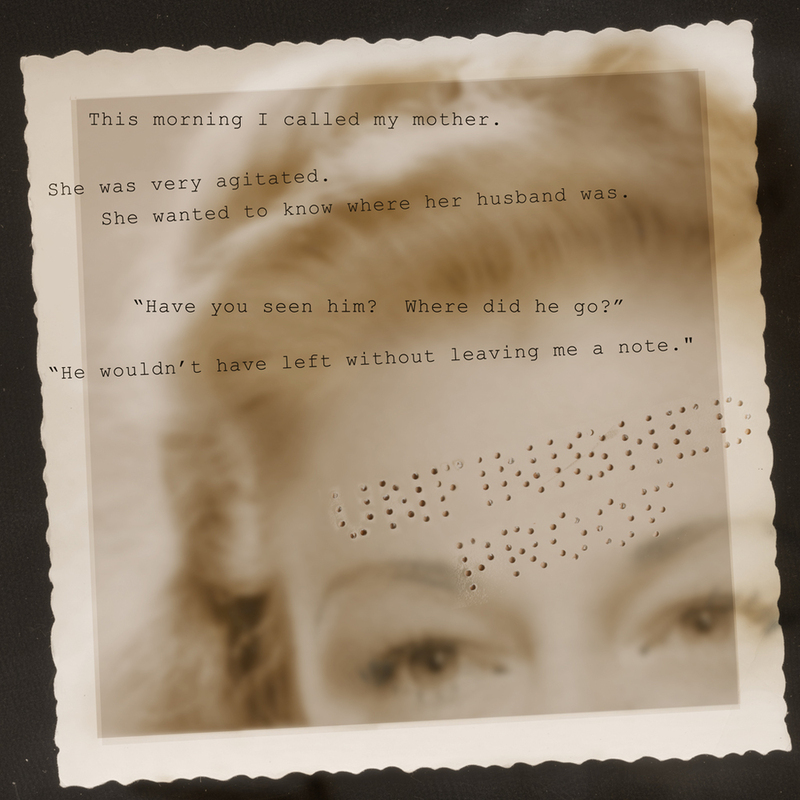 These family photographs of my adoptive mother in the 1950’s are collaged with text excerpted from questions she repeatedly asked me in her confusion after her husband died in 2008 up until the time of her death in 2010. The provocative poses of my mother in her prime were shot by her husband and represent how he saw her as well as how she presented herself to him. They are paired with segments of her portrait and other snapshots of their first years of marriage. The images pose the question of what part(s) of us are resilient enough to survive as the mind and body fade through the aging process. They address identity and how we preserve our original selves. The use of layers becomes a metaphor for what we forget, remember or perhaps misremember from stories of our own lives or those that were told to us.